I was very fortunate to win the Daisy Delight stamp set at Stampin Up On Stage Perth recently. I have been desperately wanting to get my hands on the matching punch and finally its arrived! Being me I wanted to make a card in a box using the new Wood Crate Framelits Die (somehow I have managed to almost completely cover the cute little slits on the front! I will endeavour to rectify this on my second attempt!). I needed some foliage so brought in the retiring Botanical Blooms to add some depth. The Wood Texture Designer Series Paper Stack was used for the inserts and crate. What a better way to display the new In Colours with an array of flowers and wanting to do something different I mixed and matched the colours instead of using two layers of the same colour for each flower. 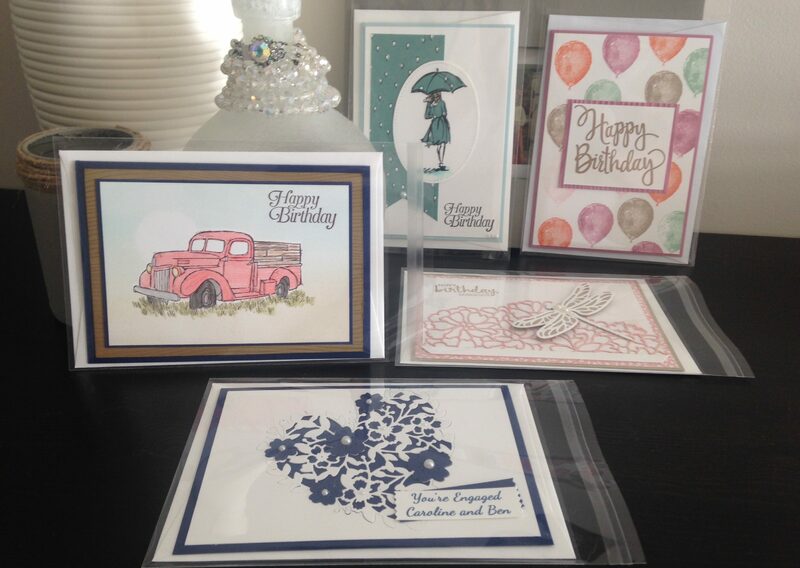 The new Faceted Gold Gems added the finishing touches along with the new Happy Birthday Thinlits Die for a sentiment. I was so lucky to be able to get my hands on a pre order but it won’t be long before you can all be playing with the new products! I will add links when they are available. Apart from lining up the inserts this is actually quite an easy card to make (honestly)! If I can do it, anyone can!